Gum disease is a common problem caused by a bacterial infection in the gum tissue surrounding the teeth. If this goes untreated, the disease can continue to worsen and eventually lead to loose or missing teeth. In addition to these issues, many people may not realize that gum disease can have an effect on your overall systemic health as well. If you do not brush, floss and visit the dentist regularly, your dental hygiene is most likely lacking. Not prioritizing these simple steps can put you at risk of gum disease. However, there are a number of other factors that can make you vulnerable as well. This includes stress, poor nutrition, tobacco usage, and certain medications. If these factors play a role in your life, you may need to pay extra attention to your oral health. Bacteria can form in your mouth, causing plaque to build along the gumline. As this gradually turns into tartar, the gums can become infected, which ultimately leads to the development of gum disease. If left untreated, this can lead to loose teeth, bone loss, and systemic complications, such as heart disease, stroke, and diabetes. Periodontitis, the severe form of gum disease, is one of the leading causes of tooth loss in adults over the age of 35, but it can occur at any age. 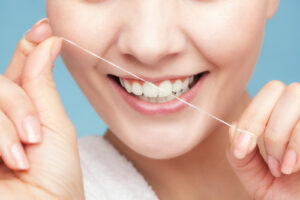 Even with the strictest brushing and flossing routine, the disease can still develop. If you wish to prevent or combat gum disease, Dr. Daniel Lauer and his staff are here to help. Aside from good oral hygiene practices, you should regularly visit your dentist to ensure your teeth and gums remain healthy. For those who have gingivitis or a more severe form of gum disease, Dr. Lauer offers an array of advanced treatments. This includes the Waterlase MD™ laser technique, which is a virtually painless procedure that removes bacteria in the mouth and also cleanses the gums of infection. If you would like to learn more about our practice and have our board-certified periodontist provide you with gum disease treatment, please feel free to contact us. We look forward to meeting you! How Is Gum Recession Treated? If you’ve noticed your gums have been receding – whether from periodontal disease, trauma, or another cause – you may need to consult with a dental professional to learn if your oral health is at risk. Mild forms of gum recession can often be treated with nonsurgical approaches including bite adjustments or a biteguard to reduce excess forces on teeth. Moderate to severe recession, however, may require more in-depth treatment methods. In the past receding gums were often corrected with surgical gum grafting. This involved taking a tissue graft from another area of the mouth (usually the palate) to transplant to the location of the recession to help rebuild the area. At Precision Periodontics & Implant Dentistry, Dr. Daniel Lauer also offers regenerative gum therapy using Emdogain™ to help regrow the gum and bone receded in the area affected. This non-invasive option entails Dr. Lauer placing the protein-based gel around the affected teeth and gums. Over the course of a few weeks, the tissue begins to repair, and after several months, you should see optimal results. The best treatment for your gum recession will ultimately depend upon your unique needs. When you come in for your appointment with our periodontal specialist, he will help you determine how you can restore your lost gum tissue for a healthier, more aesthetic appearance. The exact cause will vary based on the individual, but Dr. Lauer will evaluate your condition to determine what may have influenced your recession. By doing so, he can help you find the most effective treatment method for a long-lasting solution. Most people will develop some form of gum disease at some point in their life, whether the beginning stages of gingivitis or the more severe stage of periodontitis. As noted in our previous blog post “Protect Your Overall Health with Good Oral Hygiene,” your risk of developing the disease can be influenced by factors that you can or cannot control. When you are aware of these risk factors, you have a better chance of preventing gum disease from worsening or happening at all. Genetics: Some people are more vulnerable to gum disease because of their genetic background. Although this can heighten their risk of developing the disease, practicing good oral care can make a significantly positive impact. Teeth grinding: Grinding or clenching of the teeth puts stress on them, which can lead to a faster deterioration of the periodontal tissue and bone in people who already have the disease. Poor nutrition: Like any part of the body, nutrition plays a key role in keeping your mouth healthy. Eating a healthy diet can keep your immune system functioning properly and prevent nutritional deficiencies that can lead to poor oral health. Tobacco use: Smoking significantly increases your risk of developing gum disease. Tobacco is a major cause of why many people are resistant to gum disease treatment. Periodontal pockets are often deeper; more plaque tends to collect on the teeth; and more bone is typically lost as the disease progresses in smokers. Stress: Stress can make periodontal disease worse and more difficult to treat. This results from a weakened immune system, lowering the body’s ability to fight infection. Hormonal changes: As your hormone levels fluctuate, changes in your mouth can occur including increased inflammation and bleeding. This is especially common in transitional times such as puberty, pregnancy, and menopause. Certain diseases: People suffering from certain diseases, like diabetes, have a much higher risk of developing gum disease and are likely to have a more severe case of it. Conversely, studies have proven that having gum disease can lead to systemic diseases, like heart disease and stroke — called the mouth body connection. Medications: Certain medications have the side effect of causing dry mouth. When there isn’t enough saliva in the mouth, plaque buildup is more likely to occur. 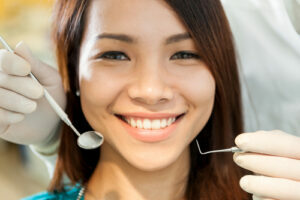 Additionally, medications can sometimes cause the gums to swell, trapping plaque in the process. In the end, our experienced periodontist, Dr. Daniel Lauer, encourages patients to do their best to control what risk factors they can and seek a qualified periodontist for further advice on how to prevent or manage gum disease. Should you have any questions, please schedule an appointment with Dr. Lauer to discuss how you can protect your oral health. It is common knowledge that practicing good oral hygiene is important to maintain healthy teeth. What many people may not realize, however, is that simple brushing and flossing of the teeth can help protect your overall health. Studies have shown a strong link between oral and systemic health — when one suffers, you increase your risk of developing more serious conditions in the other. This mouth body connection is why Dr. Daniel S. Lauer so strongly encourages patients to practice good oral hygiene. Although gum disease can still occur despite good oral hygiene habits, Dr. Lauer believes patients can significantly lower their risk of developing gum disease and, consequently, more serious health issues throughout the body when they make oral hygiene a priority. If you would like to learn more about the mouth body connection and how you can protect yourself, we encourage you to schedule an appointment with us. Stay tuned for our next blog post, detailing factors that can influence your risk of developing gum disease. I am the fortunate one to have been recommended by my dentist to see Dr. Lauer for his opinion on a dental issue. Not only did Dr. Lauer address the problem, but he was thorough in his explanation, gentle in his dental work and exceptional in his dental manner. His staff is friendly, gracious and knowledgeable. I would give Dr. Lauer and his staff a 5 star rating! Thank you, Dr. Lauer and wonderful staff! Your communicating of my needs and your follow up after the procedure put me in a comfort zone. Certainly the staff in your office is a big plus im making my visit an easy experience. Great appreciation in receiving the ultimate care and total package a patient should expect.